NeNe Leakes Drags Porsha Williams For Throwing Her Under the Bus! The door is closed — Again! Co-stars, NeNe Leakes and Porsha Williams, are beefing again after Sunday’s Real Housewives of Atlanta episode revealed possible betrayal in their big sister/little sister relationship. Porsha Williams Baby Daddy Accused of Scamming Customers Through Hair Weave Company! NeNe Leakes, 50, got the party started, addressing Porsha as disloyal for throwing her under the bus in a talking head confessional. Apparently, NeNe went behind Kandi Burruss’ back and informed Porsha of a gossip sesh about Porsha’s fiance’s shady dating practices. “When you a ride or die chick!!!!!! Hey lil sis, i got your back! Lis sis: yeah ok! Then throws big sis under the bus! What the F*CK #loyalty #dontbitethehandthatfeedsyou I’m out #beloyaltosomeone” NeNe Instagrammed on Sunday, with a photo posing alongside Porsha . Porsha, 37, wasted no time responding to her big sis, “So you text me and ask me a question then make an assumption. Now you come on social media and blast me! B*tch you got me twisted. #FakeasHell #CutTheCrap.” Porsha replied to NeNe’s Instagram post. NeNe Leakes clapped back at Porsha by dragging her former Real Housewives of Atlanta co-star, Phaedra Parks, into the fight, “wanna be a victim 🙄🙄 you f*cked Phaedra over the SAME way.” NeNe responded to Porsha. Porsha explained her talking head comments that seemingly implicated NeNe Leakes on Twitter, “Nene knows that was editing! Everyone can see that was the last part of a sentence asked waay after the lunch even took place! They added it to make it seem like I confessed who told me. I never said Nene told me what Kandis said. 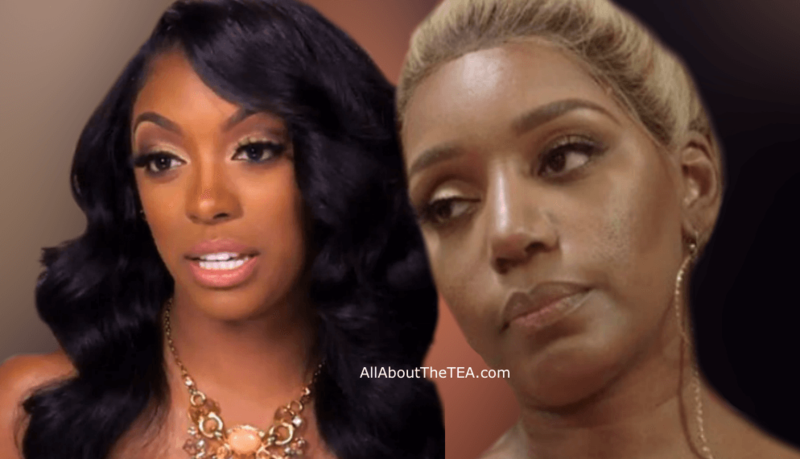 I only said why nene felt it may be kept from me!” Porsha tweeted on December 2. Sound off below on NeNe Leakes and Porsha Williams’ latest social media dust-up. Tune into The Real Housewives of Atlanta Sunday nights, at 8:00 p.m. ET, on Bravo!